Full of colours and bright shades, the brand is described as ‘dialed-up beauty extras’ and that’s exactly what it is; glitter pots, vinyl lip, liquid highlighter and eye pencil in various bright shades. 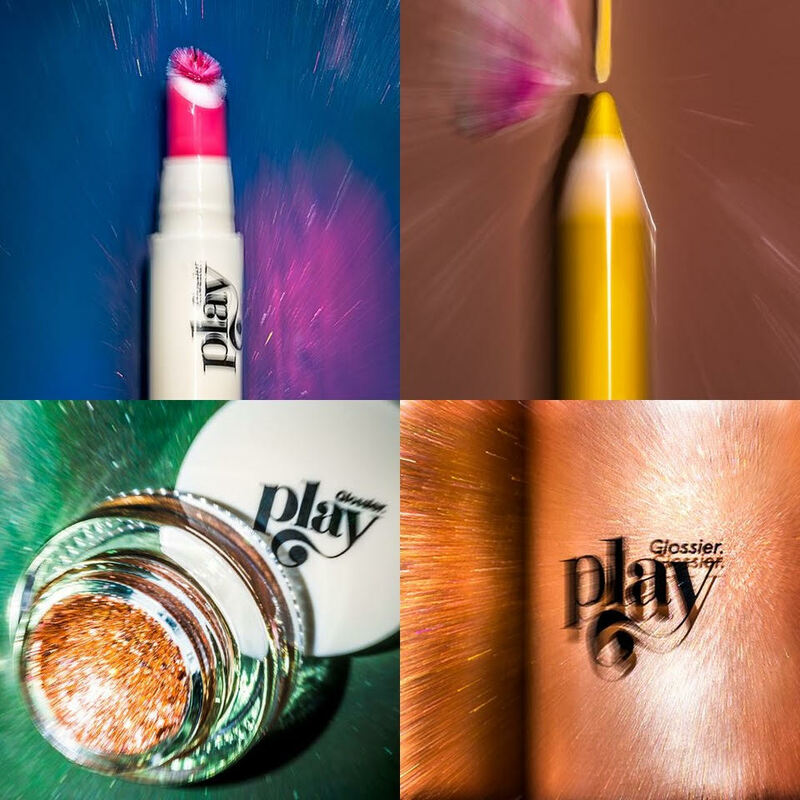 Glossier Play launched recently, after a few weeks of cryptic images on the new Instagram account, with the ‘G’ logo shown in different variations, the Glossier team has definitely succeeded in terms of marketing. We all want to get our hands on the new products, especially if you love coloured makeup and want to be more adventurous with your choices and looks. Emily Weiss founded Glossier in 2014 after the immense success of her beauty website Into the Gloss. Glossier’s catch phrase has been ‘skin first, makeup second’ and Play guarantees to change the makeup part of the routine. The brand has amassed millions of followers internationally, and with this colour-focused drop of products it will probably attract even the maximalist among us. Glitter is one of my obsessions in general so when Glossier Play launched that was the product I was really hoping for. Available in four shades, the little glistening pots make the 'glittery eye look' very easy. Unfortunately, most glitter is essentially tiny pieces of plastic (microplastic) that blocks waterways and ends up in marine wildlife, and this particular glitter isn’t biodegradable. But the good news is that they have made an announcement that they are working on a re-formulated product with biodegradable glitter. A buildable liquid highlighter, with a great applicator in four shades. A kohl eye pencil in 15 bright and metallic shades from turquoise to berry, to be mixed and matched together. A click pen to apply your shiny lipstick the easiest possible way. The spongy applicator makes any of the six shades you choose from bright orange to classic red, easy to apply.